This stunning polyester blazer will make you feel like a laid-back chic in an instant! Its oversized lapel flare hem is the icing on the cake. Besides that, it has a strapped collar with snap buttons for easy wear. The asymmetric hem and side slits made this outwear so refined that it can complement any style you want to pull off during cold days. 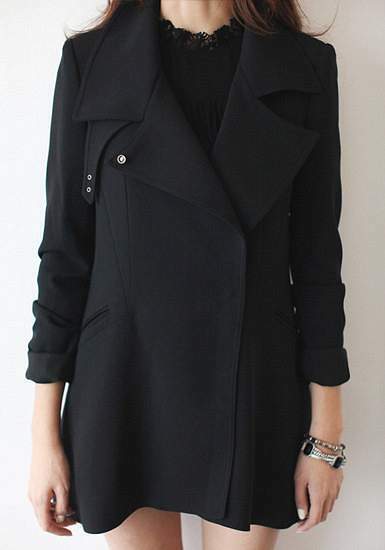 This coat is made of non- stretchable material with fabric lining underneath. Just throw the blazer on top of a tee or a cute floral dress and you're good to go.